How much will Celtic get from the sale of Virgil Van Dijk to Liverpool? The former Celtic centre-back recently completed a £75million from Southampton to Liverpool. With a sell-on clause inserted into the deal which saw Saints sign the Dutchman from Parkhead, how much will Celtic receive? Virgil van Dijk must surely go down as one of the best buys in Celtic’s history. The deal had just about everything the club could ask for from a signing in the modern era. He helped the side to win two league titles, a League Cup, and was named in the PFA Scotland Team of the Season twice. The fans loved him during his time at Celtic Park and he went with everyone’s best wishes. From a business perspective, the van Dijk experiment could scarcely have been more satisfying. 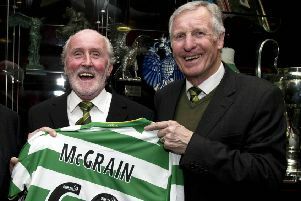 He was discovered playing for Groningen by Celtic scout Neil McGuinness. Even in the confines of Dutch football he wasn’t on one of the bigger teams. In his two full seasons with Groningen, they finished 14th and 7th. “To this day I’m amazed that nobody took him out of Groningen sooner. I always felt he had everything needed to go to the top which is why I pushed so hard for Celtic to sign him at the time,” said McGuinness. Celtic snapped him up for £2.6million with a 10 per cent sell-on fee to the Dutch side. This meant Groningen pocketed around an additional £1.3million two years later when Celticsold him on to Southampton for a £13million fee. Celtic also insisted on a sell-on clause in the transfer, recognising van Dijk’s potential and protecting themselves in case they had been fleeced by the English Premier League side. There are differing reports of exactly how much Celtic were able to negotiate as a sell-on clause. Some outlets say it was only 10 per cent, while others insist it was as much as 15 per cent. It has also been reported that this was a percentage of the net profit made by Southampton from the player, and not 10-15 per cent of the gross total received when the player signed for Liverpool. Therefore, the least Celtic will make from the deal taking the Dutchman to Anfield is around £6.2million. Add that to the (roughly) £11.7million the Parkhead club made off his initial transfer down south, and you’re looking at near £18million for the player. If it’s a 15 per cent sell-on clause, then the total received as a result of the Liverpool deal will be around £9.3million, taking the total profit Celtic may have made at over £20million.